Home HAIR New Hair Cut and Color! I love getting my hair done. Especially when I can experiment with color! Today I'm showing you my newest outcome from my amazing hair stylists. Check it out! Color by @StudioMstyle I love how he added so much dimension to my hair. Plus my black roots are gone...I have a warm brown base and golden highlights. As I use my purple toning shampoo it will continue to lighten. 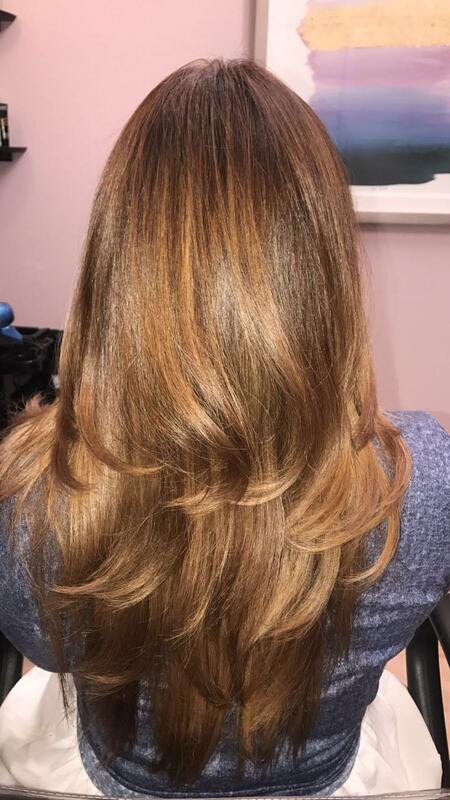 Blow out and layers cut by ArtistAHairStudio. 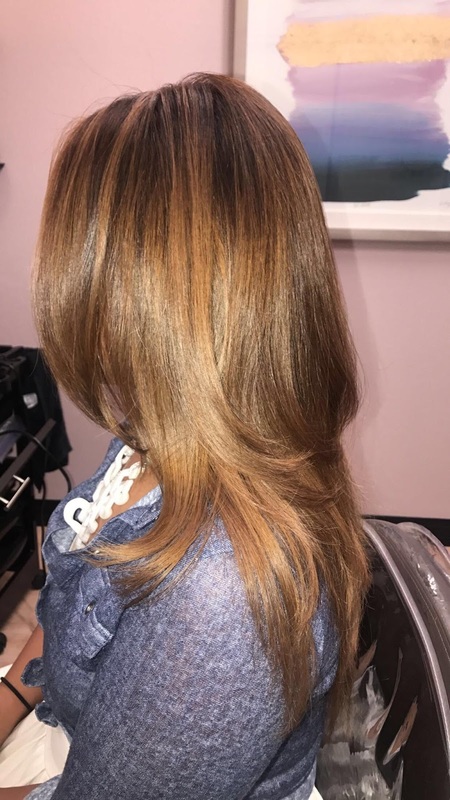 The layers and blow out are gorgeous. She was still able to keep my length but give my hair body and it looks so shiny! Check out these amazing hair stylists if you're looking for great hair in Atlanta.